The Institute of Registered Auditors (IBR-IRE) celebrates this year the 20 years of the Awards for Best Belgian Sustainability Reports. 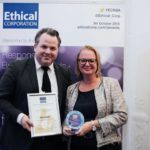 Originally, an environmental award, it evolved to a full sustainability award for which the evaluation criteria have been largely aligned to the GRI standards. Elia won the Award for Best first Sustainability Report, chosen by the Jury. 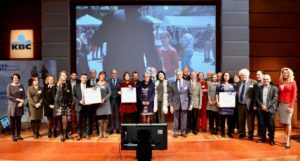 Pro Natura and Umicore are the winners for the Best Impact Sustainability Reports voted by the public. GRI Standards and the link with SDG’s. Pro Natura has been short-listed by the Jury to participate in the competition for the Award “Best Impact Sustainability Report” by the Jury in the category “Other organizations”. The Jury appreciated the fair and transparent report of Pro Natura. It is transparent also on challenges. The report is nice to read, well presented and clear, concise and well structured. It is also well balanced and reflects a sound selection of material topics. The value chain is also included into the assessment on materiality. 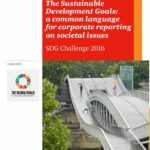 The report is nicely linked with the GRI G4 guidelines and the SDG’s. Pro Natura also provides a clear overview of its intended impact in the coming years in a SMART way. Umicore has been short-listed by the Jury to participate in the competition for the Award “Best Impact Sustainability Report” in the category “Large organizations”. The Jury appreciated the strong link with stakeholders, the mention of the shortcomings which makes it a balanced and honest report in positive and negative announcements. The reports shows clear linkages between strategy and context. The report provides for a lot of information but is easy to use, thanks to a clear analysis based on the value chain, linked to materiality and targets. It also provides for assurance by an independent registered auditor. Download the full report: Trends & remarkable reports of the edition 2018.